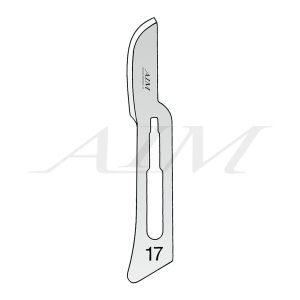 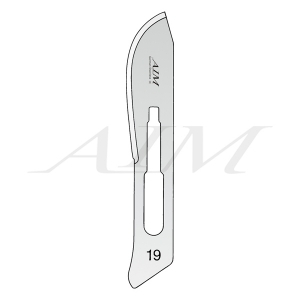 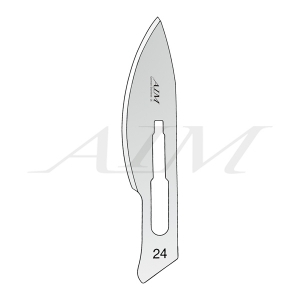 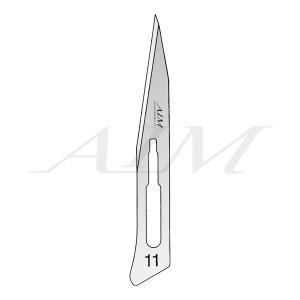 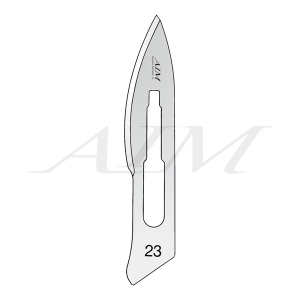 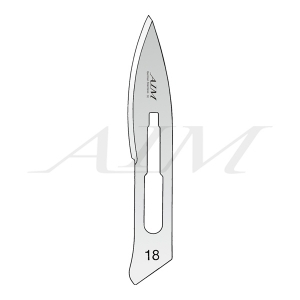 The No.12 is a small, pointed, crescent shaped blade sharpened along the inside edge of the curve. 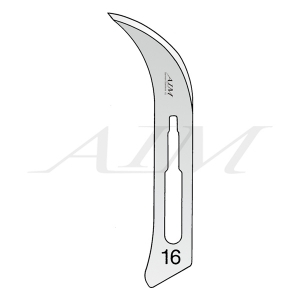 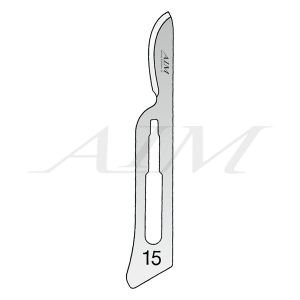 It is sometimes utilised as a suture cutter but also for arteriotomies (surgical incision of an artery), parotid surgeries (facial salivary glands), mucosal cuts on a septoplasty (repair of nasal septum) and during cleft palate procedures, ureterolithotomies (calculus removal by incision of the ureter) and pyelolithotomies (surgical incision of the renal pelvis of a kidney for the removal of a kidney stone - also known as a pelviolithotomy ). 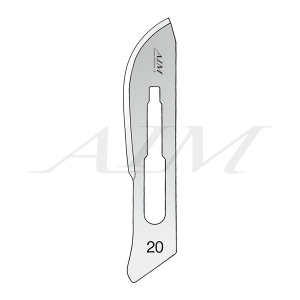 They are also be used within Dental surgery for raising skin flaps and for removing excess polymerised composite resin on the facial and interproximal region of the tooth during restoration procedures. 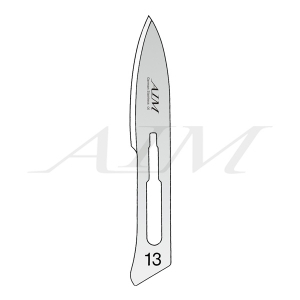 The No.12 fits Handles 3, 3L, 3 Graduated, 5B, 7, 9, B3 and B3L.